This sleek, compact sterilizer cleans five bottles in five minutes with the click of a button. 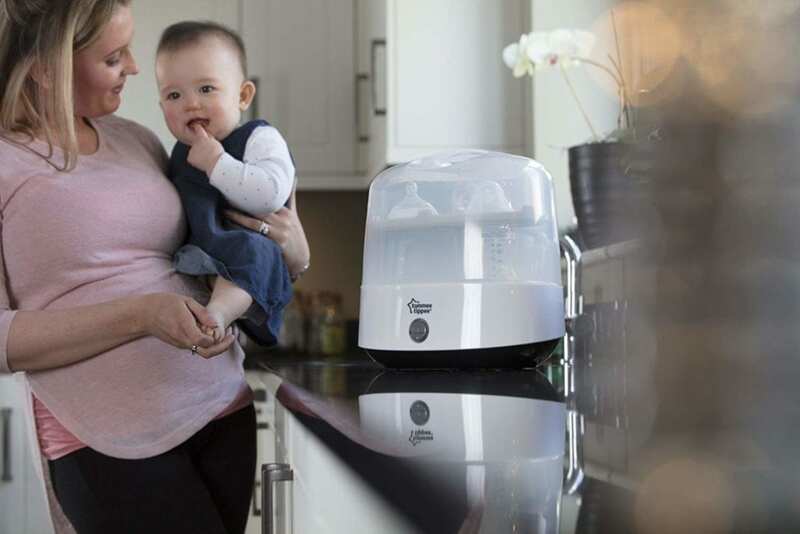 The Tommee Tippee Electric Steam Sterilizer kills 99.9% of all germs without chemicals. BPA and phthalate free.